Fotor is a cross platform application that works on Windows 8 as well as mobile platforms including Android, iOS and Windows Phone 8. 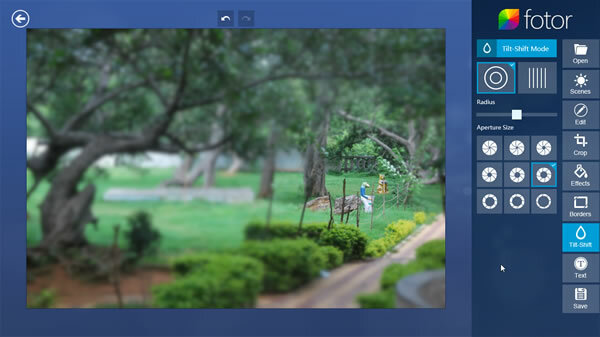 It is a simple photo editor with good UI that is pleasing to the eyes, it has lot of presets and filters, you can use it as a light photo editor for quick editing on your desktop as well on mobiles. 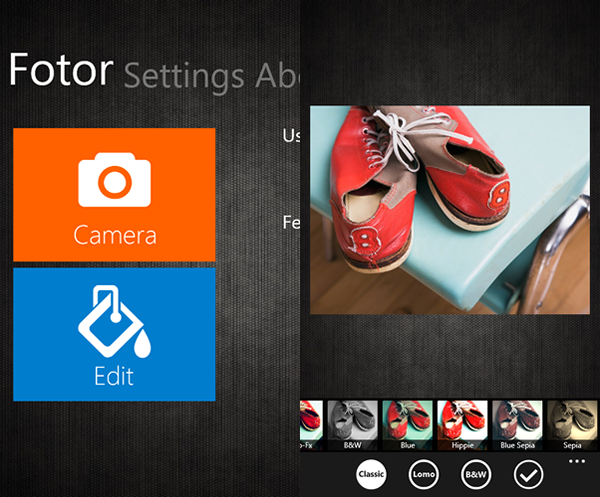 Fotor is available as a Desktop version as well for Windows 8 Metro version. I have used the Metro and so far it feels very good. Using the app itself is pretty easy, open a photo from your albums to start editing. You can apply pre-set filters in one click, or use “1-Tap Enhance” button to quickly edit, there are 13 individual enhancements you can choose. Basic editing tools like Changing contrast, brightness, crop, white balance are also included. In addition to the quick touch ups and basic editing tools there are over 60 effects that you can apply to your photos to get that perfect picture. You can also add Borders to the photos, annotate with text and more. The edited photos can be saved and shared with others through social networks. One interesting feature is the Tilt-Shift mode, as the name suggests you can add tilt-shift effect to your photos and control the effect with the given options. In addition to the above said functions it supports RAW file format, Retina Display and social sharing. 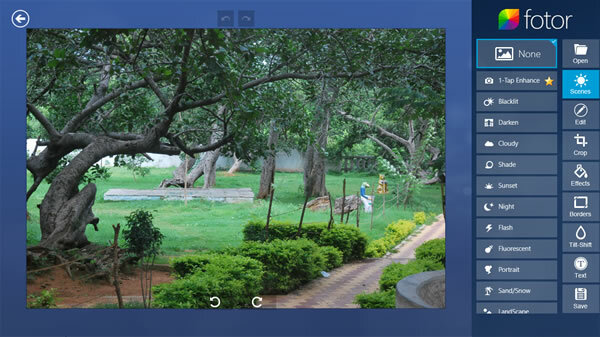 The app also supports RAW file format and Retina Display in addition to the above said functions. 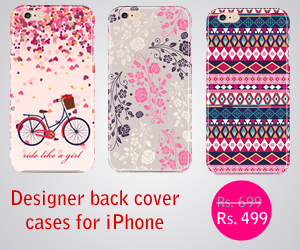 Mobile apps of fotor are available for Android, iOS and Windows Phone platforms. The Mobile apps also include several of these functions, and the functions vary depending on the platform. For some reason Windows Phone version doesn’t offer all the features while iPhone offers most of the functions found on the Windows 8 version. 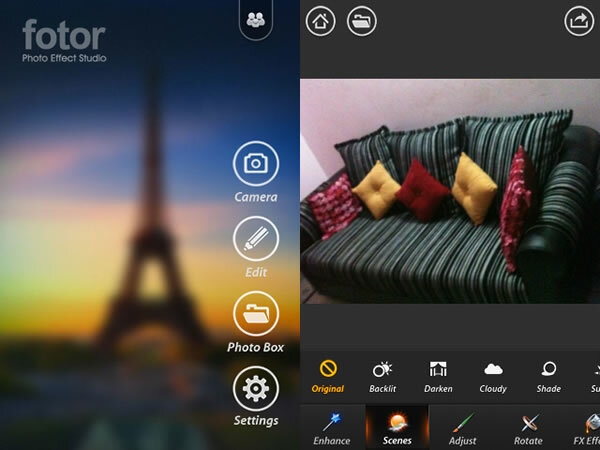 Overall Fotor is a simple and elegant photo editing application, if you are looking for a no frills app for photo editing on the fly and sharing consider downloading this app. The app is available as a free download for WindowsXp/ Vista/ 7/ 8, Windows 8 Metro, Android, iOS, WP8.